Nairobi governor Mike Sonko decided to gift his adopted son Satrine Osinya with a brand new Mercedes E 350 CDI Convertible on his birthday. The expensive gift comes barely a month after Osinya’s health scare. The kid was admitted to Nairobi hospital about three weeks ago after developing complications following an earlier surgery on his brain in 2014. Satrin was shot in the head in March 2014 during a terror attack in Mombasa, he was only 8-months-old. The bullet that killed his mother lodged in his brain. 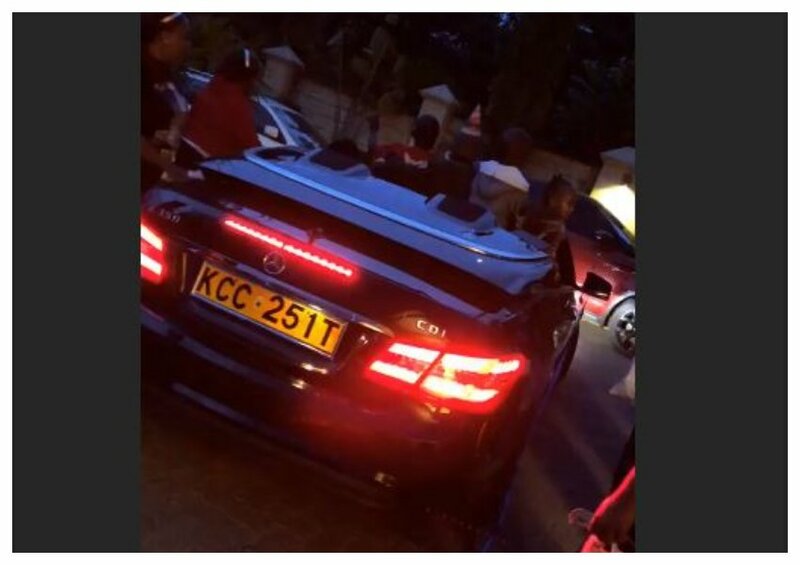 Sonko perhaps decided to gift his son the expensive German machine to celebrate his recovery. The Nairobi governor spent at least Kes 5 million to buy the Mercedes Benz E 350 CDI Convertible.